Tottenham Hale established a legacy as an industrial powerhouse more than a century ago, in large part due to the presence of the Harris Lebus factory – once declared the largest furniture manufacturer in the world. The family business built the factory on a 5.5-hectare greenfield site on the River Lee in 1900, having developed it in the East End of London over a period of more than half a century. At the height of its production, an item of Lebus furniture was a popular feature in homes throughout the country. Louis Lebus, who started the business, is regarded as one of the earliest Jewish immigrant furniture workers to have arrived in Britain, having come from Germany in the 1840s. By 1857, he had set up a workshop to pursue his craft in Whitechapel. From this point, the Lebus furniture business enjoyed an extended period of growth, unhindered by the unfortunate death of Louis Lebus in 1879. Shortly after this time, the business was taken over by his 27-year-old son, Harris Lebus, who moved the firm again in 1885 to Tabernacle Street in Shoreditch, closer to a hub of furniture makers in east London. Upon building the factory in Tottenham Hale, Harris Lebus was employing in excess of a thousand people. The new premises, by the River Lee, were built to cope with the huge levels of demand the company was now receiving from households and businesses throughout the country. Meanwhile, the Tabernacle Street premises were retained and converted into showrooms to display the company’s products. The success acted as a catalyst for other furniture companies to come to the region. These firms would soon come to establish themselves in the Lee Valley, where land was relatively cheap, and the riverside was in close proximity, enabling them to transport timber directly from the London Docks and store it in warehouses along the banks. At this time, as employees were still commuting from the East End to Tottenham Hale, Lebus encouraged the building of houses nearby, which contributed significantly to the growth of the area. Many industries became involved with assisting the war effort from 1914, and furniture manufacturers were no exception. With the loss of many male Lebus workers, local women stepped up and were able to acquire the skills of their male counterparts. The women were tasked with providing the military with crucial equipment and supplies, such as tents and ammunition boxes, as well as preparing large parts of aircraft, including the Vickers Vimy, which became the first to fly nonstop across the Atlantic in 1919. The fact that the Wright brothers had only achieved the first recorded powered flight fewer than sixteen years before made the achievement all the more impressive. The number of employees working at Lebus by the beginning of the Second World War had grown to 8,000 and the company would come to play a significant role in manufacturing parts for aeroplanes as the war went on. Lebus made components of the de Havilland Mosquito and the Airspeed Horsa glider. The company also built replica Sherman tanks from wood, to give Nazi Germany an inflated impression of the might of the British military. Droves of Jewish workers in the industry had fled Europe to avoid Nazi persecution during these years, and it was perhaps fitting that the factories which employed them in London were taken over by the government, and used in the fight against their oppressors. Harris Lebus, who died in 1907, may well have been proud of this legacy he helped create. 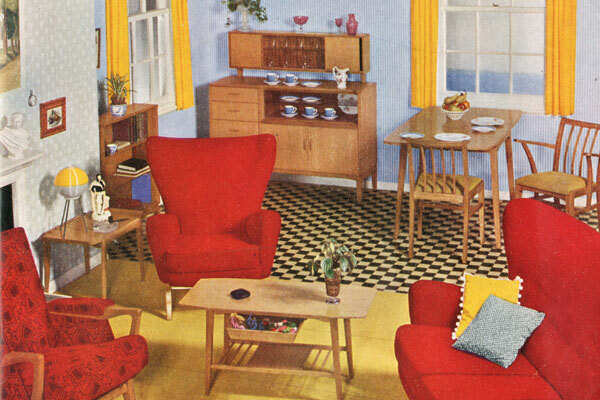 The boom years of the famous Lebus brand of Arts and Crafts and later, utility furniture, were not to last. 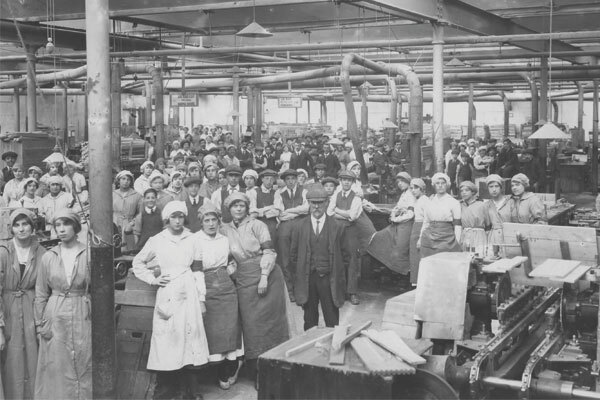 During the second half of the 20th century, the Hale witnessed a downturn in several of the manufacturing and wealth-creating industries for which it had become famous. Companies producing duplicators and copiers, industrial fans, pencils, rubber products, boots and shoemakers bit the dust, as well as the furniture industry, and the Lebus factory was eventually closed at the end of the 1960s. In 1969, the site was passed over to the Greater London Council (GLC) and was cleared. Only the northern building was retained on the plot, as the remainder of the land was developed for housing, which would become known as the Ferry Lane estate. The GLC used the rest of the site (pictured right) for distribution by the Inner London Education Authority (ILEA) – known as the GLS depot – for supplying equipment to schools in the 1980s. This continued until 1990, when, a few years after the abolition of the GLC, the ILEA also came to a close. There may be several reasons for the demise of the furniture industry. Plastics and other materials were being incorporated into the manufacture of furniture. Retail was changing: large superstores catered to increasing numbers of car-owners and the high street furniture shop began to disappear. The industry was also affected by the impact of cheap imports and by the 1980s the demand for this type of furniture was in terminal decline. But today the Lebus legacy remains, and collectors across the country seek out its products, some of which are even being given a Farrow and Ball makeover. The Harris Lebus factory came back into focus in 2007 when Lee Valley Estates commissioned CgMs Consulting to carry out an archaeological survey of the air raid shelters that lay beneath the site. The study exposed an intricate network of interconnected tunnels, which were later revealed to be part of a massive air raid shelter, used during the Second World War to protect thousands of factory workers and local people during bombing raids. Uncovering the shelter was a complex process, in large part due to floods of up to 1.2 metres in the tunnels, but pumping out the water eventually revealed 10 trench shelters. Also discovered within the complex were toilets, sleeping areas, a first aid room, control and sub-control rooms and artefacts including a John Player’s Navy Cut cigarette packet, a selection of glass bottles and a collection of rusting Home Guard helmets. Lee Valley Estates donated several of the artefacts to Bruce Castle Museum, the local history archive for the area, including crockery, tin hats, glue bottles, stretchers, various pencil drawings and controversial pieces of graffiti! Oliver Lebus, the grandson of Harris Lebus and son of Sir Herman Lebus (who was knighted for his contribution to the war effort), worked for the family firm after serving in the army between 1939 and 1946, eventually taking the role of chairman. Lee Valley Estates sponsored publication of the book ‘Regeneration and Innovation – Invention and Reinvention in the Lea Valley’ by the historian, Dr Jim Lewis, on which this article is based.